Zenith Global’s annual soft drinks conference, in association with the British Soft Drinks Association, brings together senior industry managers, innovators, retailers, suppliers, opinion-formers and advisers to provide the fullest possible one-day overview of the latest developments, issues and opportunities. Zenith Global is launching a Global Beverage Insights day to help business leaders, strategists and researchers in Charting the Future. 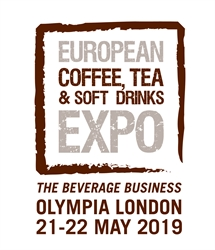 The European Coffee, Tea & Soft Drink Expo is the only trade show that is 100% devoted to the professional sales of soft beverages – coffee, tea and soft drinks – right across the entire foodservice spectrum. 'Asking the right questions: theory and practice' will provide an update on both areas of work by the FSA, with an overview of the progress and benefits of the new registration process and a summary of the ongoing work on food standards. Eat, snog or avoid – What to do about food allergy? To look further into the subject of food allergy, the Institute of Food Science & Technology is hosting an event entitled Eat, snog or avoid – What to do about food allergy? The event is aligned with the Young Scientist competition final.